Heading off to your first LD of 25 miles or more? Feeling a bit nervous? Relax! 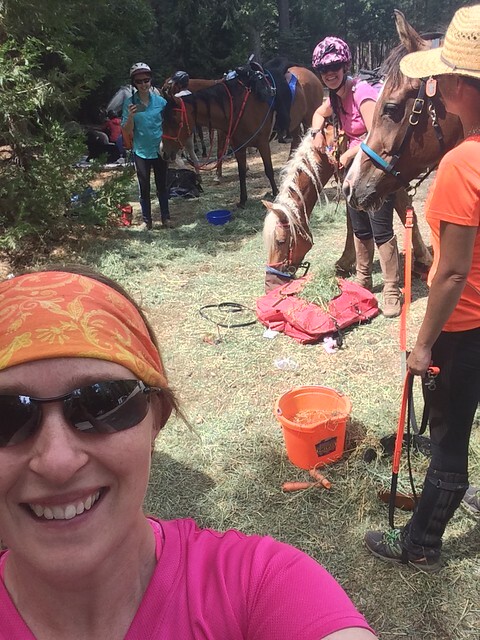 Here’s 25 of the essential must-knows before (and after) pulling into ridecamp. 1. Know where ride camp is. Ridecamps are often in the middle of nowhere without addresses or readily GPS’ed cross streets. Sometimes you are given GPS coordinates, or step by step directions…YEAH. And sometimes you aren’t. Sometimes you aren’t even warned there are TWO streets of the same name and the SECOND one is your turnoff and you *could* result in having to backtrack through a residential section by backing your truck and trailer a quarter mile before being able to turn around. (True story). Best is to have at least 2 methods of navigation to ridecamp – written step by step directions and/or GPS and/or area map etc. 2. Know and understand the AERC rules.